Fitting Fitting generally represents the Base Curve and Diameter of the lens in mm.Typical values range from 8.00 to 10.00 for Base curve�and 13.00 to 14.5 for Diameter Power Often called 'sphere' or 'strength. Measured in diopters and always preceded by - (minus) or + (plus). Negative (-) powers are prescribed to help correct short sighted conditions. Positive (+) powers help to correct a long sighted condition Addition Also referred to as "reading" or "near" addition, this is the correction required for reading or close-up work. The figure is normally the same for both eyes and represented as a plus figure. Addition tends to be added to Bifocal or Multifocal prescriptions in order to accommodate all ranges of focus and correct Presbyopia. 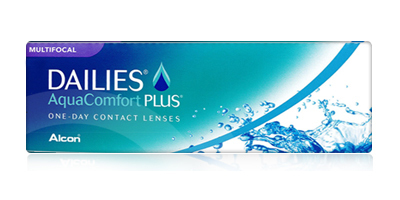 Focus Dailies Progressives 30 pack contact lenses bring you freedom and versatility. They help correct both far and near sightedness by changing lens power gradually. Far to near, the transition will be natural and flawless. 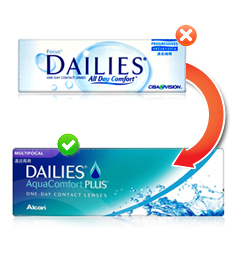 Focus Dailies Progressives 30 pack contact lenses are a great combination of contact lenses and multifocal lenses, with the additional convenience of a daily wear routine. You can correct the vision problems, enjoy the freedom from eyeglasses, and not worry about maintenance, storage or build up. Focus Dailies Progressives are made of 30.6% polymer and 69.4% water. With these, you no longer have to be constrained by your bifocal eyeglasses. 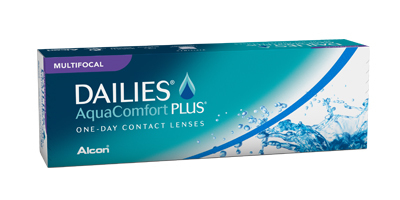 Buy Focus Dailies Progressives 30 pack lenses from us today and say yes to natural clear vision with excellent handling, visual quality and comfort. 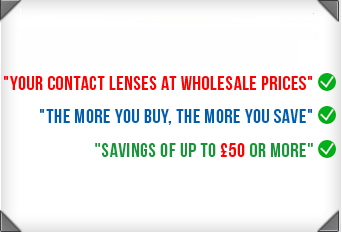 We supply authentic lenses from all the leading contact lens brands and we guarantee the best prices and service online.